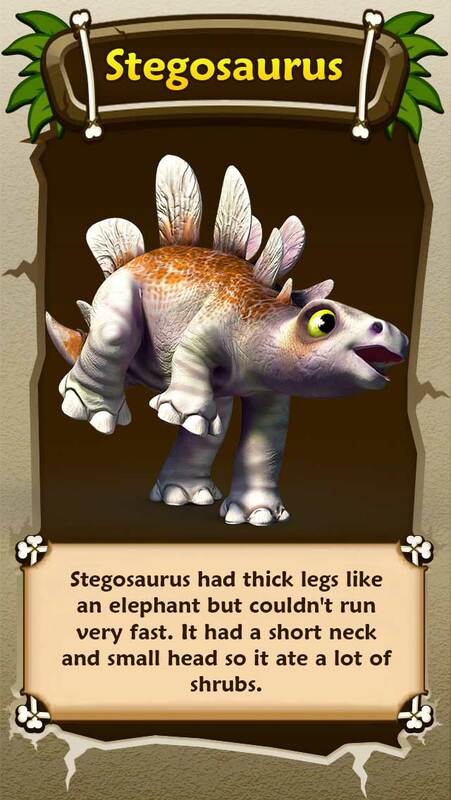 Stomp your way around a magical, prehistoric island with your six baby dino friends. Discover the world of dinosaurs, learn amazing facts and turn each adventure into your very own Storybook! 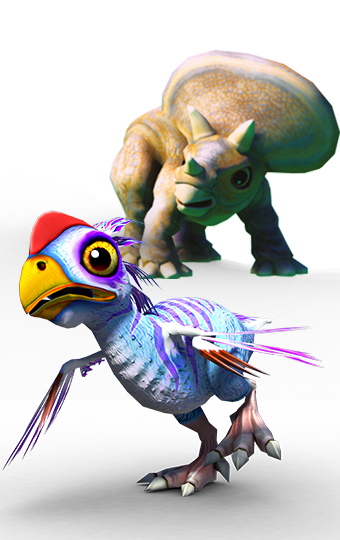 Find and hatch seven baby dinosaurs to play with and nurture! Can you discover them all? Explore an epic land filled with caves, forests, rivers and even an erupting volcano! Fill a Storybook with your own Dino Tales that you can personalize and read with others! Play fun games and activities including the musical boneyard, river rapids, boulder bowling, lava slides and much more! Subscribe to our YouTube channel here and learn more about your favourite dinosaurs! Download your free colouring book here! Right click over image below and select "save as" to download your free Dino Tales PDF Colouring Book. 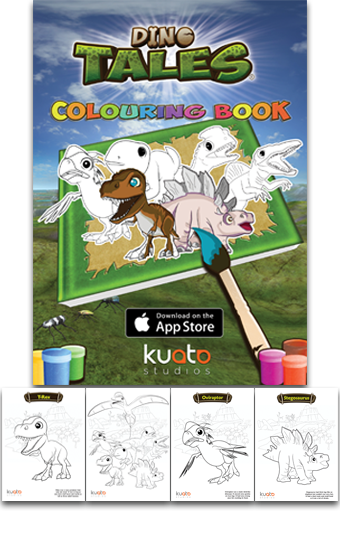 Colour all your favourite dinosaurs! Make them stand out from the rest! 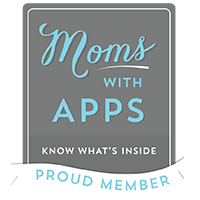 Every time your child plays, a Dino Tale is created, which captures their game activities in pictures and words, and presents them in classic storybook form within the game. The game combines a fun exploratory world with a beautiful Storybook to encourage your child’s reading, writing, listening and speaking skills. Set your child’s reading age so that the language is always targeted appropriately. 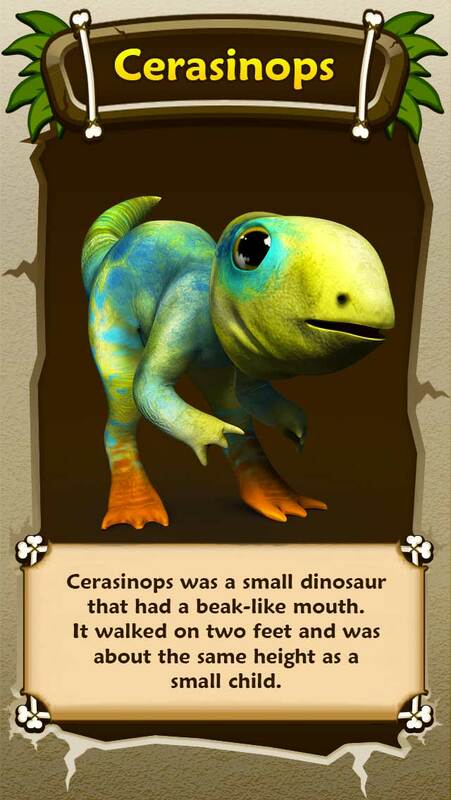 Your child’s first task will be to name a baby Cerasinops - and give it a gender! 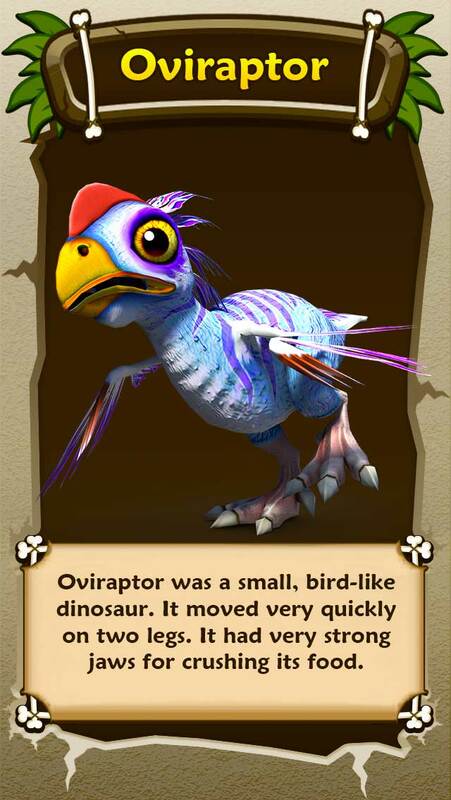 As your child explores the island, they will discover and hatch five other dinosaurs. Each play session becomes a becomes a new tale in your child's Storybook. Over time, your child will build up a collection of tales. Darwin sits in the lower right corner of the game, and tapping her once opens our unique Question Builder! 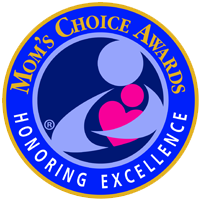 Fossils and minerals are scattered about the island and collecting these leads to achievement awards. 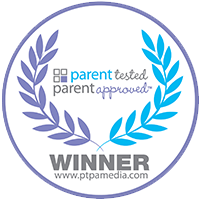 Each time they unlock an award, your child can visit the Treasure Trove to find out more about it! 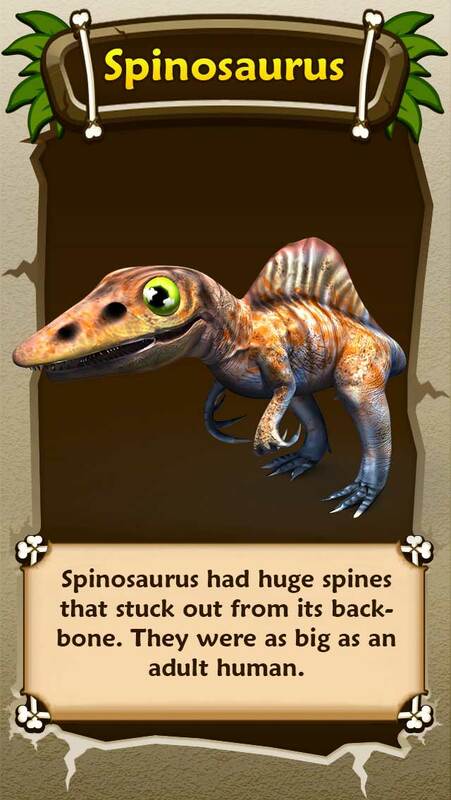 Dino Tales is not just a game, but also a beautiful Storybook and an encyclopedia rich in Jurassic facts! Children are both adventurer and storyteller - the game captures each play session and turns it into an enchanting Storybook to be shared and read with parents and loved ones. 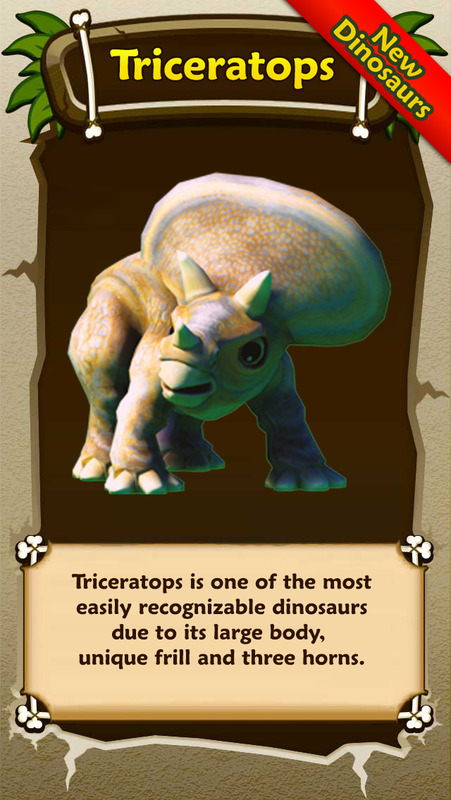 I can tell you that Dino Tales is not just inventive, by which it encourages young people to invent stories around its characters, but it is also outstandingly educative. 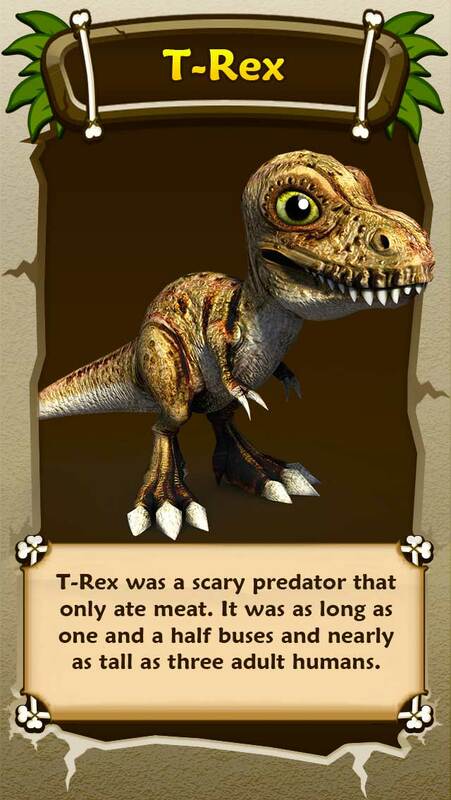 Dino Tales — an outstanding Jurassic adventure! Take your child exploring in the land of dinosaurs. Dino Tales is a marvellous tool to develop literacy and language work. To have created an engaging game with a talking dinosaur which genuinely excites children about language is no small feat! 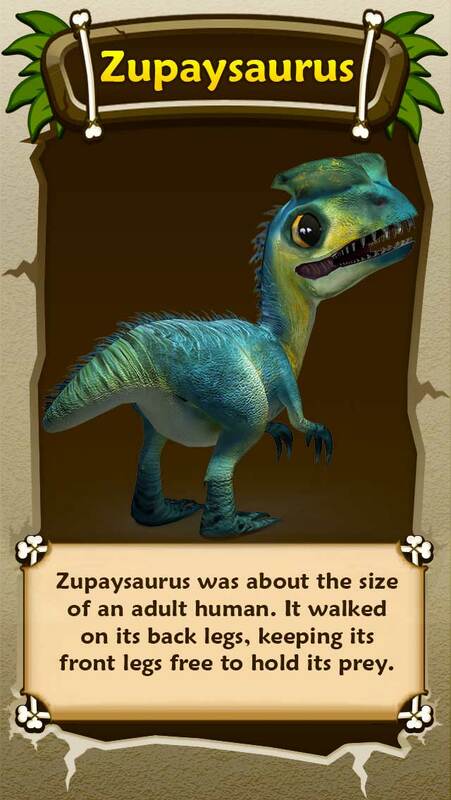 We were struck by the children's engagement both with the story elements of the game, and with the talking dinosaur. Asking Darwin is a wonderful way for children to gain confidence in creating questions. And Darwin's answers are always interesting! 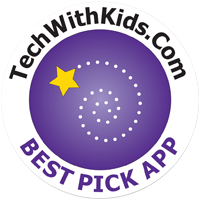 Have feedback, suggestion, or any thought about our app? Feel free to contact us anytime.